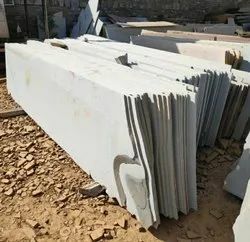 Providing you the best range of Sandstone Slabs such as Grey Sandstone Slab, Buff Sandstone Slabs, Desert Brown Sandstone Slabs, Brown Sandstone Slab, Grey Shadow Slab and Sahara Gold Sandstone Slab with effective & timely delivery. 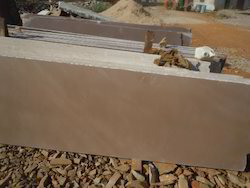 Being one of the reputed organizations in the market, we are engaged in offering an exclusive range of Brown Sandstone Slab. Our offered sandstone slab is designed using the best quality raw material and advanced technology under the guidance of our adroit professionals. 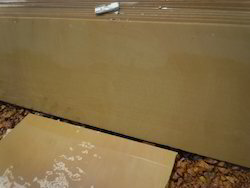 The provided sandstone slab is tested on varied parameters. 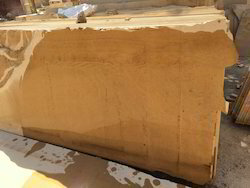 Used in wall-cladding, roofing, flooring of interior & exterior applications, clients can avail this sandstone slab from us in different specifications. Backed by a diligent team of skilled designers, we are engaged in offering clients high quality Desert Brown Sandstone Slabs that is recommended for exterior landscaping in areas with freezing climates. 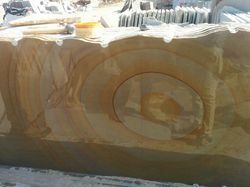 The offered sandstone slabs are designed using premium quality raw material and the latest technology. Our provided sandstone slabs are widely appreciated in the market owing to their elegant design and smooth finish. We are leading supplier of Jaisalmer Yellow Sandstone Slabs. Beacause of clost effectiveness and its dark yellow color jaisaler yellow sandstone slabs are become very popular for interior glooring and wall cladding. 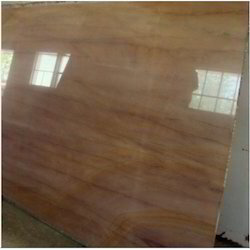 Jaisalmer yellow sandstone slabs are available with different finishes as per requirements. We are leading manufacturer and supplier of Yellow Sandstone Slabs with variois finishes. Our available finishes are Honed, polished, shotblast, shotblast+Brushed etc. 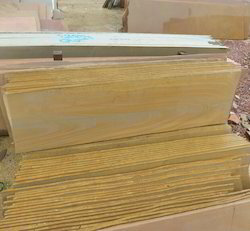 These yellow sandstone slabs are highly demanded for wall cladding, flooring, steps and countertops. We also provide these yellow sandstone in tile form according to customer's choice. We are leading manufacturer and supplier of Beige Sandstone Slabs for flooring and wall cladding for luxurious villas and hotals. We provide these sandstone with shotblast finish for wall cladding and high polish for indoor flooring. 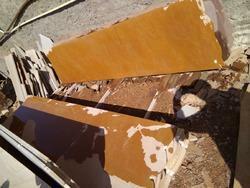 We also provide the installation facility for sandstone slabs sullied by us. We are leading manufacturer and supplier of the Green Buff Sandstone Slabs. 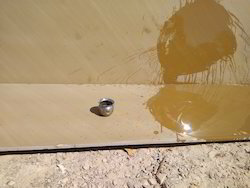 This is Green Buff sandstone slab. The natural waves on sandstone gives very attractive look so it is used for flooring of Resorts, Bunglows, Villas and many architectural projects in India. We are leading manufacturer and supplier of Pure Grey Sandstone Slabs for Flooring from bijolia, rajasthan. We provide these slabs without any spot and clouds for flooring as well as wall cladding. Woodland Sandstone Slabs are looks like wood. Woodland sandstone slabs are perfect choice for them who are looking for wood like flooring and wall cladding for bungalow. Woodland sandstone slabs are highly demanded for wall cladding and flooring for many housing project. Woodland sandstone slabs are available with customized sizes and thickness as per requirements. Woodland sandstone slabs are available with various finishes like, sawn, honed, mirror polish,sandblast and leather finish etc asper requirements. With years of experience in this domain, we have carved a niche for ourselves, in offering a wide assortment of Kandla Grey Sandstone Slabs. Used for paving applications, this sandstone slab is manufactured using quality proven raw material and advanced technology in adherence with industry norms. Our provided sandstone slab is provided in diversified designs, specifications and sizes, as per the needs of our clients. Our company is the foremost in offering Kandla Grey Shadow Slab to the clients. Kandla Grey Shadow Slab is designed by optimum grade material and latest technology under the knowledge of adroit experts. This product is praised by clients for owning remarkable characteristics. Offered range can be avail in varied specification as per need of valuable clients. This product is perfect for varied application area. We are Leading wholesale supplier whole of Sahara Gold Sandstone Slab from Bijolia, Rajasthan. Sahara Gold Sandstone slabs are available with customized sizes and finishes. 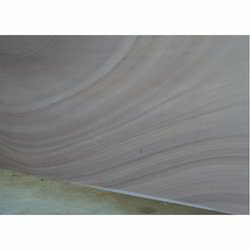 Normally we offers sawn slabs which could be use for external wall cladding, internal and external flooring etc. We have a huge collection of Buff Sandstone Slabs that are available in different sizes and designs. Used for exteriors, pathways, corridors, driveways, balconies, these sandstone slabs are appreciated in the market. We only use the best quality raw material and ultra-modern technology while processing these sandstone slabs. So as to maintain the quality, our quality examiners test these sandstone slabs on varied parameters. We are leading manufacturer and supplier of Green Woodland Sandstone Slabs from Bijolia, Rajasthan, India. 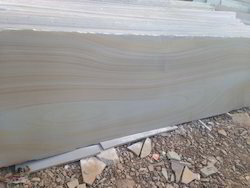 Green woodland sandstone slabs have wood look waves on it. It gives very attractive look on wall as well as flooring applications. Grey Quartzite slabs are highly demanded for flooring as well as wall cladding applications for Bunglows and commercial projects. These grey quartzite slabs are available with various finishes like shotblast, Polished, Shotblast+Brushed etc. 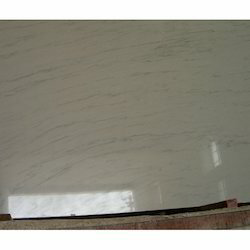 We provide these Grey Quartzite in tiles form also. 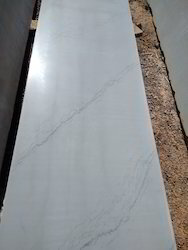 We are leading manufacturer and supplier of Kandla Grey Sandstone Slabs with Clouds. Kandla grey sandstone slabs are very popoular for flooring and wall cladding. 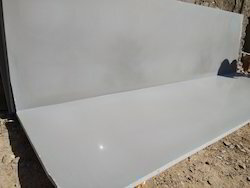 We provide high polish salbs for flooring and sandblasted slabs for wall cladding.